Sonic Bothy is an award-winning, inclusive new music ensemble that explores composes and performs contemporary and experimental music. It has 3 learning strands: Sonic Bothy Ensemble, Bothy Learning Space and the public Open Session Series. Members of all strands were involved in all aspects - developing as composers, musicians and performers, as well as co-delivering other aspects including, marketing images, radio promotion etc. 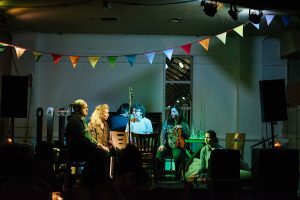 Sonic Bothy’s ‘Space + Listening + Democracy’ was a ground-breaking project that explored what it means to be a collaboratively composing, inclusive ensemble creating contemporary and experimental music. Sonic Bothy Ensemble performed 8 times at a variety of venues, including Mavisbank School for children with complex additional support needs, and collaborated with experimental chamber ensemble The One Ensemble. Sonic Bothy Ensemble created a new programme of high quality works that were performed and recorded in their first ever studio recording. There were 2 specially commissioned works lead by disabled musician Ensemble members; Adam Green and Andrew Robertson. Adam Green’s AGX, incorporated specially commissioned glass instruments designed and made by glass artist Carrie Fertig to Adam’s guidance. Andrew Robertson’s Misbehavin’ Ain’t, explored his interests in graphic scoring, musical theatre and improvisation in this humorous work for the ensemble inspired by Razaf/Waller/Brooks song. Bothy Learning Space undertook a 6-month exploration of the history of C20th percussion ensembles, with new compositions performed at CCA. Open Session Series delivered 5 sessions, where the public with a learning disability explored the themes of the project. Members of all strands were involved in all aspects, co-creating music, marketing images, radio promotion etc. From the Ensemble: ‘This project involved smashing contemporary sound making and new music! This group is different from others that we work in, we are developing as composers, musicians, performers..and getting stronger and stronger!’. Sonic Bothy was created to provide a new platform for these talented musicians to explore their interests in creating new and experimental music, to develop performing abilities to their fullest, to provide opportunities for collaboration with professional musicians on an equal footing. The project grew out of a previous AC Projects Residency in 2015 where we asked the question ‘What does It mean to be an ensemble? What is an ensemble?’. We were delighted to receive funding to explore these questions further through creating new music and collaborations. Democracy is at the core of Sonic Bothy, with every musician having equal say in the compositional process. Each project accommodates the individual needs of those participating and yet allows access to mainstream musical creation and performance, working in new music & art venues and with professional groups and musicians in the new music scene. This project was very special because we were able to understand more about how we work and how we learn, from taking the lead in new pieces, to developing new ideas and making new work and recording it. It was also very special because of the different audiences we were able to play our music to: at the International Society for Music Education conference, at Tramway Family day, at Mono and CCA, at Mavisbank school in Airdrie (one of our favourite gigs!) at City Halls with The One Ensemble. We loved expanding our members to new musicians in the learning space and meeting new people at Open Sessions. We are finishing some CD art and details of this project. Next we will be writing and improvising some more new pieces…… our music can be unpredictable so anything could happen! 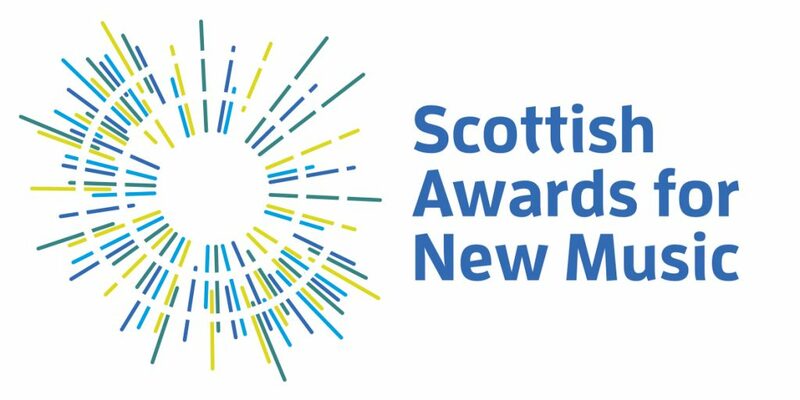 Who are the up and coming Scottish composers to keep an eye on? From the Ensemble: We would like to play a VERY BIG GIG like Hampden!! Or to travel - a national and international tour. We would like to create a big project involving even more people than we have done to date, including audience participation in our music! We really love new challenges and to be out of our comfort zone in projects.